Classic Film and TV Café: Cafe du Cinema Society Discusses "The Night of the Hunter"
Cafe du Cinema Society Discusses "The Night of the Hunter"
Film critic Leslie Halliwell once described The Night of the Hunter as a child's terrifying fantasy. And while much of the film is presented from a child's point of view, director Charles Laughton pulls both young and adult viewers into this fantasy world. Once inside, the viewer becomes exposed to all the horrors faced by the characters--especially the children John and Pearl. Hence, The Night of the Hunter becomes a horror film. 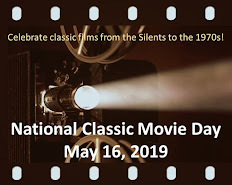 Much of its horror is psychological---lurking beneath the film's surface in the form of horrific and suspenseful elements, the character's perversions and madnesses, and potential psychological fears and fantasies. For example, we see an owl that appears to be gentle and harmless. Yet, it suddenly swoops down and kills a rabbit. Laughton seems to be saying that horror can lurk where we least suspect it--in a wise, old owl or even a "preacher." Do you agree that The Night of the Hunter is a horror film? If yes, how does Laughton create horror and suspense in his film? And if you disagree, let's hear some feedback as to why! Remember, the Cafe du Cinema Society is all about interactive, online discussion. Rick,For me NIGHT OF THE HUNTER, is the ultimate stalker movie. Robert Mitchum, performance was one of his best. I will never forget his tall dark shadow looming over the children. Not to mention the beautiful/horrific under water scene of their mother sitting in the car at the bottom of the lake. This movie had me sitting at the edge of my seat.. If ever a movie portrayed innocence betrayed and lost, this is the one. Despite what we adults try to make ourselves believe, children know that the boogeyman is real. Laughton got a marvelous performance out of Robert Mitchum as the ultimate boogeyman. It is said that Satan is the great counterfeiter. Mitchum's characterization as a preacher is just such a disguise. Mitchum's more subtle scenes chill me to the bone. These scenes to me are where Laughton's genius shines. When the preacher rides against the horizon of the rising sun singing "Leaning...leaning...leaning on the everlasting arm", as a terrified innocent child listens to him from hiding, it is a blasphemy indeed. In a later scene, the song is again used, this time to portray the sacred (as Lillian Gish sings) and the profane (the preacher's harmony. There is so much to this movie that a comment could easily turn into a full-blown article. Ultimately, I believe it is a masterpiece of horror, not supernatural but horror in reality. Laughton used his actors in exaggeration, bigger than life, much the way a child sees the world as big, to show true horror. It is a real shame that Laughton was so hurt by the cold response to this movie that he never directed another. I would love to have seen more by this great man. This is one amazing film. There is a back story that Laughton did not like working with the children so Mitchum worked with them and directed them. Rick this is a horror film and Laughton makes full use of the widescreen format and Stanley Cortez amazing black and white photography to show danger is every where just under the surface.. His work screams to be seen on a big screen. If you have only watched this film on TV you have no idea of what you are missing. This is one of the greatests black & white films ever shot. Just as important as Toland's work In Kane . 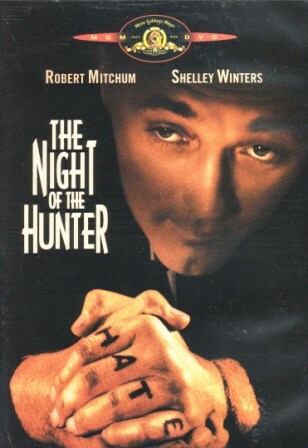 "Night of the Hunter" is truly a suspense film. The two young children have no reliable parent. Their father steals and makes the children a part of his action by entreating them to keep his lie. Their mother then permits herself to fall under the false preacher's will, which subjects the children this time to a truly evil authority. When the children sneak away in a boat on the river, it is both exquisitely beautiful yet frightening because little children shouldn't be alone at night in a boat on the river. The only one watching out for them is God Himself. When the needy children meet the remarkable character played by Lillian Gish, they finally have a chance for safety. But I found it chilling to hear the duet of the Hunter and the loving woman singing "Leaning on the Everlasting Arm." This is a lyrical tale, with realistic performances, and leaves an indelible impression on its viewer. I really enjoy these conversational posts! Dawn, I too was chilled to the core at the car scene at the bottom of the water. I was also creeped out by the wedding night scene. 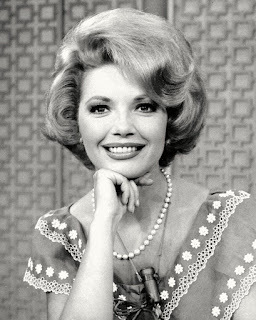 Becky, I loved your descriptive post and am also very saddened that Laughton never directed again. Paul, the cinematography and use of light and shadow are impeccable. It has been years since I have seen "Night" on the silver screen. Great blogs, everyone! THE NIGHT OF THE HUNTER is one of those works of art that transcends genre classification. Is it suspense? or horror? or a form of noir? What's most interesting to me is that it's a singular masterpiece created by a brilliant actor who directed just this one film. Amazing. To begin with, it's an intriguing story - adapted from a book based on a true story - that unfolds as a fable of good and evil...the cinematography is mind-boggling; the expressionistic style works perfectly with such a dark and quirky tale...wonderful acting all around, with Mitchum's harrowing performance leading the way. This is one beautiful and terrifying film. I think this is one of our best discussions. Becky, Toto, Eve, and Dawn...I agree with all of you--NIGHT OF THE HUNTER is a horror film grounded in reality, a suspense film, and a fable. It also exhibits fairy tale elements, especially in the scene where the children are in the cabin. It reminds me of frightened children hiding with their grandmother in a little house in the woods as the big bad wolf lurks outside. But Grandma has dealt with wolves before and she knows what to do. It's the film's ability to comfortably slide in and out of different genres that helps make it unique. And, yes, Paul, the photography is incredible. Sometimes, I think novice directors give their cinematographers more freedom (Welles with KANE)and that partially accounts for their inspiration (and in some cases, innovation). This has been a great blog! I saw Night of The Hunter as a kid and was scared out of my wits. Seeing as adult, I still enjoyed it but wasn't as scared because I now identified more with the adults especially the wonderful Lillian Gish. Charles Laughton directed a timeless thriller than lasts even today. Nice to see you here, Shell! You're absolutely right about the timeless quality of HUNTER. I first saw it in a film class long ago and it's just as engrossing today (mayne more so). "The Night of the Hunter" is a psychological horror film- and in that context, Mitchum's performance ranks among his best. (In fact, he was so convincing that I always have in the back of my mind when watching him in other films how terrifying he was here.) I agree with the other posts, however, that it is regrettable that Laughton never directed another film, considering the skill with which he rendered this one.